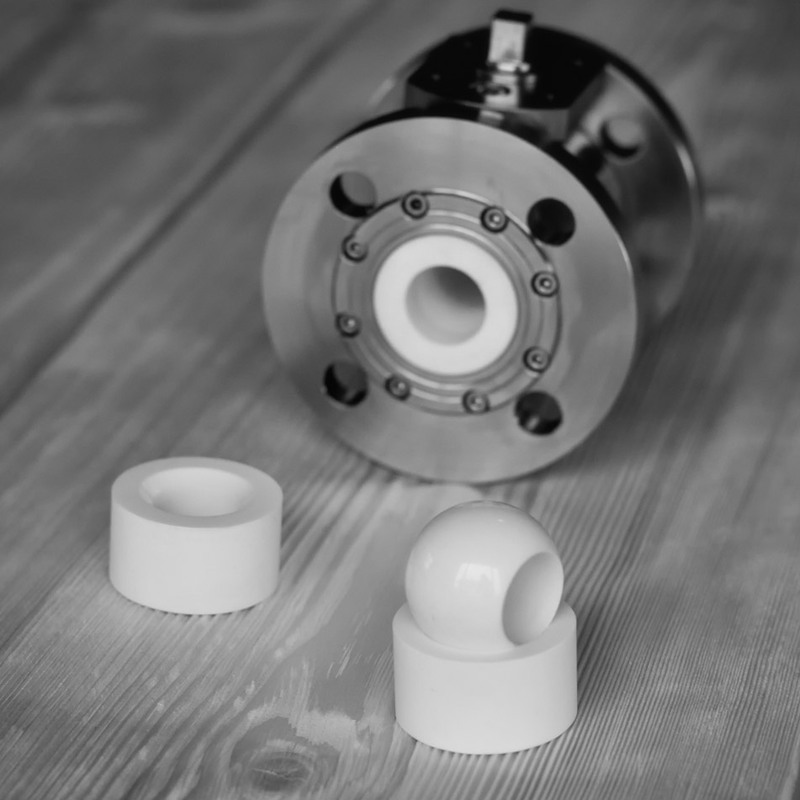 Ceramic ball valves have been designed for the most demanding working conditions where is the highest abrasion resistance and chemical resistance. Constructed and the precision of the workmanship allows to eliminate elastic gaskets/seals. Tightness is obtained by the geometry and the smoothness of the surface of the ball and sockets. 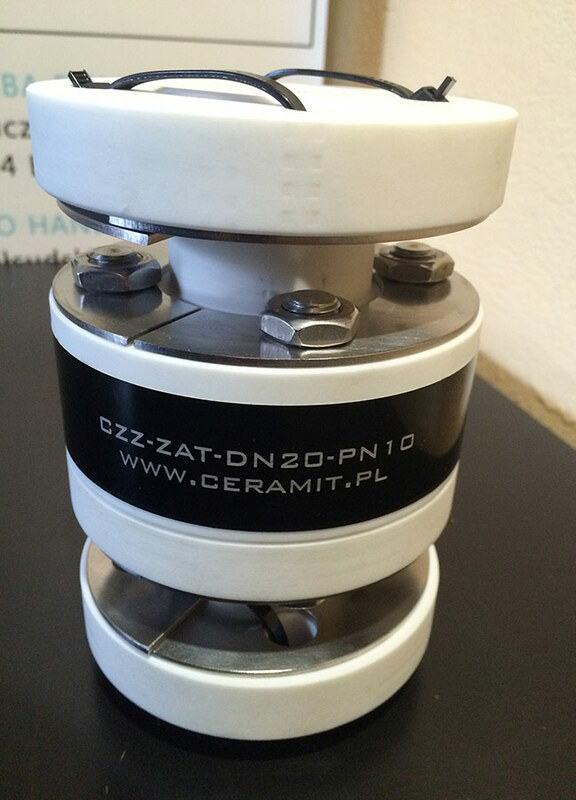 Ceramic plate valves are most commonly used in the dosing devices. 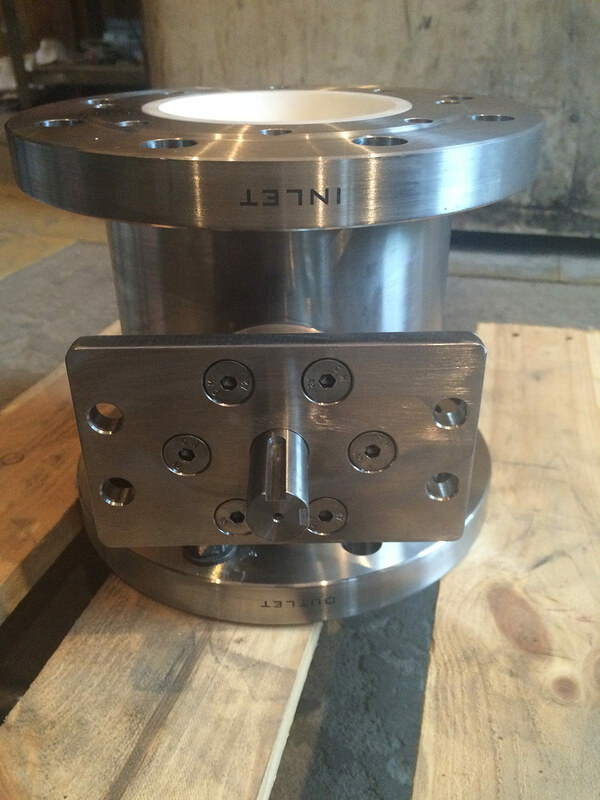 The tightness of the valves is dependent on the flatness and smoothness of the working surface of the plates. The advantage of this solution is elimination of wearing flexible seals and increasing durability through the use of ceramic materials. 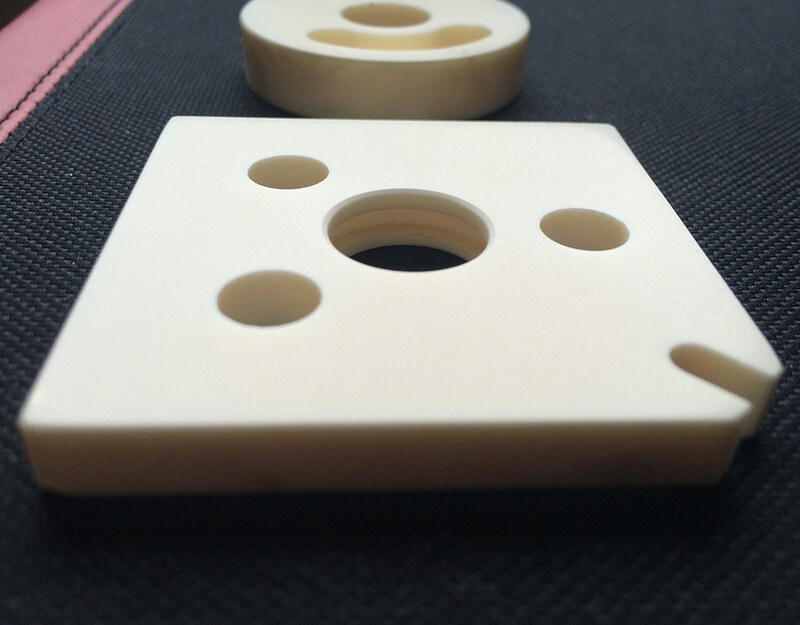 The use of ceramic valves is particularly apt in the case where we are dealing with strongly abrasive media or very high operating frequency. Plate valves are often used in dosing or in control/adjusting devices. 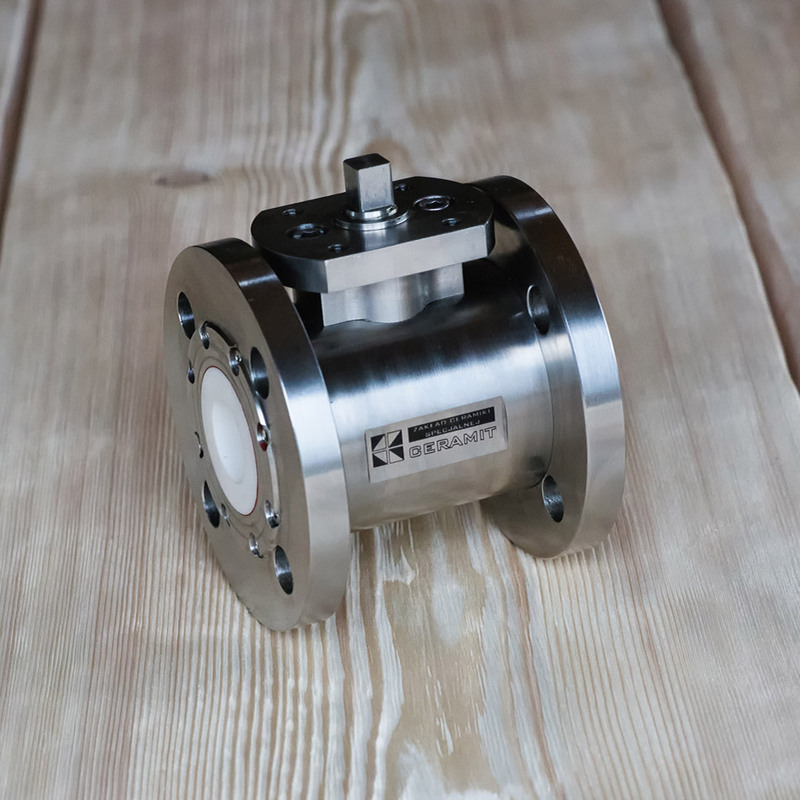 Non-return valves are used to provide a flow in one direction only. 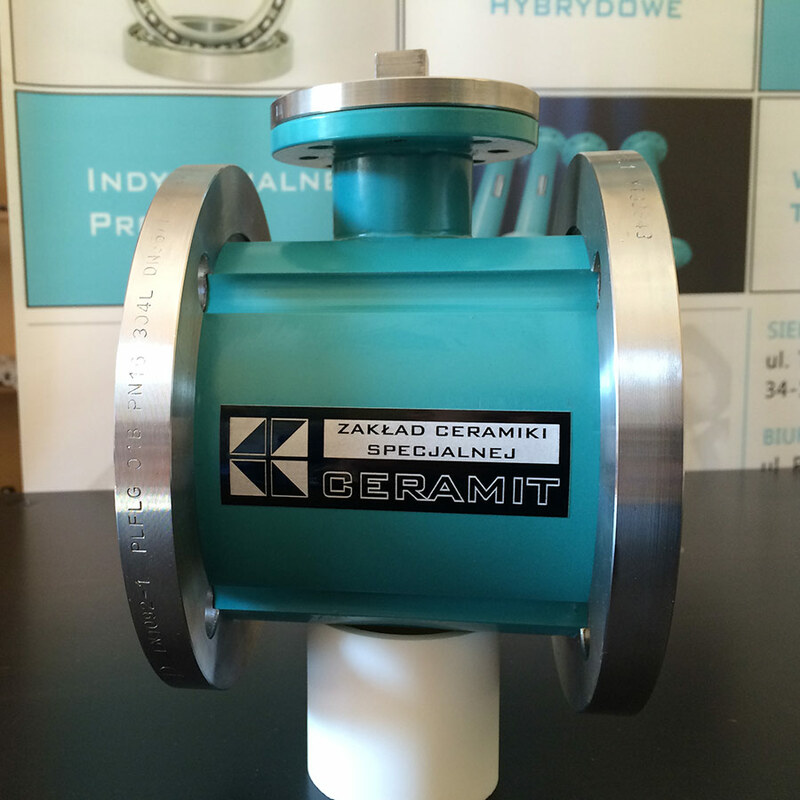 Due to the construction, can be divided into poppet valves, ball valves, or plate valves. Made of ceramic materials provide long-lasting and reliable operation under the most difficult conditions. Due to the use, occur as an independent elements of the installation made, for example, as wafer type valves or as an integral part of the equipment/devices eg. of plunger pumps (ram pumps), diaphragm pumps (membrane pumps) and piston pumps.